Śrī Caitanya brought about the biggest revolution in the history of mankind by establishing love of God (prīti) as the most exalted goal of human life. Before, people looked for happiness by enjoying their senses, by acquiring material goods and by fulfilling their religious and social duties. Some of them realized that life was full of misery and endeavoured to find happiness in liberation from this world. However, none of these methods can give us absolute and lasting happiness, because there we basically follow our egotistic impulses devoid of genuine union with God. On the other hand, love for Kṛṣṇa connects us with Him, opens us to others and develops our personalities to the fullest, making us ideal human beings. Unlike material feelings, divine love cannot be awoken from within the heart; rather it needs to be obtained from someone who has it. 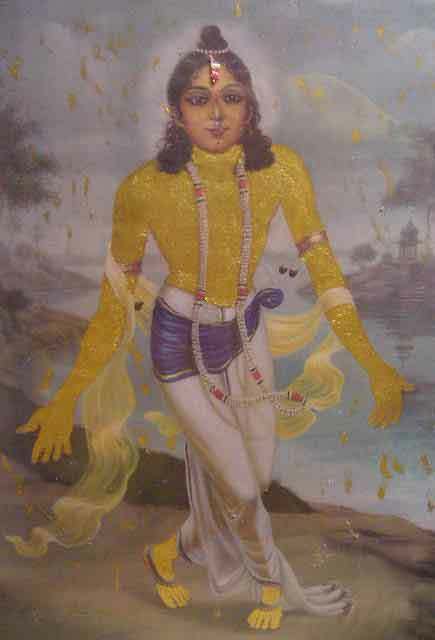 The exceptionality of Śrī Caitanya is based not only on that He gave the transcendental love a unique position, but also because He brought and distributed it. Five hundred years later, this love is still present on Earth because it has been preserved through a chain of realized saintly persons. Approaching such a saint and following his or her instructions, we too can acquire this treasure of love.